I was lucky enough to travel home last weekend for one of my bestie's birthdays. It was a fantastic weekend and was so lovely to get some quality time with some of the girls I hold dearest to my heart and miss every day. The weekend prior, I had indulged in sunday brunch at this great little spot on Dundas West. Though this cocktail wasn't on the menu, the bartender was whipping it up behind the bar and let us sample it. I was blown away - so simple yet so tasty. It seemed like the perfect treat to include in an extravagant birthday brunch. This drink is easily adaptable to any size glass. I've described the method for a short glass below, simply double the gin and cassis for a tall glass and finish with grapefruit beer. Pour 1/2 oz gin in a short glass. 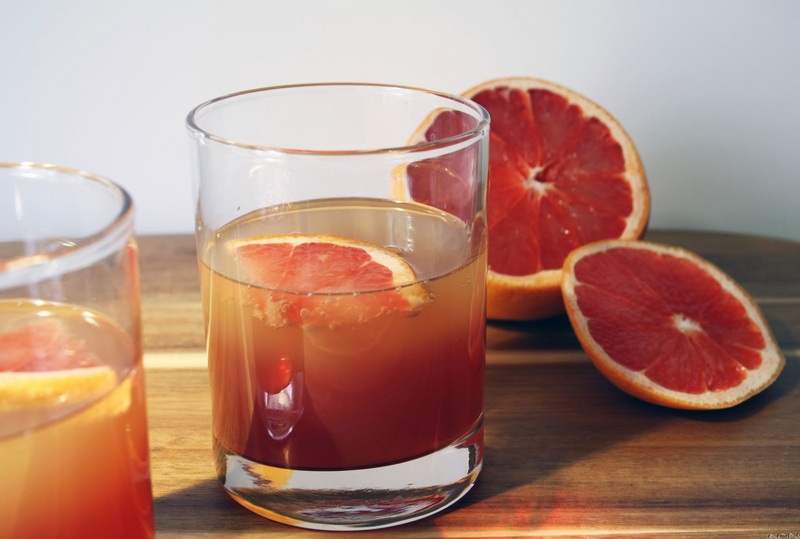 Fill glass with grapefruit beer. Gently pour the 1/2 oz of cassis into the glass.